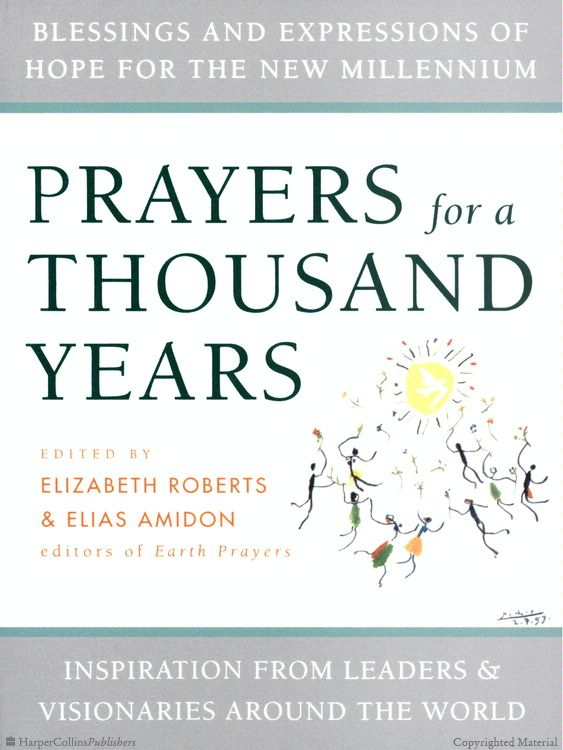 In 1999, along with 225 world citizens, Libby was asked to submit a piece of writing to a book entitled “Prayers for a Thousand Years: Inspiration from Leaders and Visionaries Around the World”, edited by Elias Amidon and Elizabeth Roberts, published by Harper San Francisco. The book is a collection of visions, blessings, stories, and challenges for the new millenium, including contributions by the Dalai Lama, Nelson Mandela, Marion Wright Edelman, Alice Walker, Gary Snyder, Archbishop Desmond Tutu, Holly Near, Gloria Steinem and others. Libby’s invocation can be found under the section “This Holy Earth.” The book is available in local bookstores throughout the U.S. and in select stores in other countries as well as online. Although climate disruption and environmental degradation are scientific and technological issues, they are fundamentally moral issues. 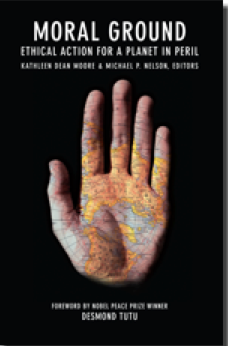 MORAL GROUND gathers the testimony of one hundred of the world’s moral leaders – theologians and religious leaders, scientists, poets, business leaders, activists, and philosophers. Together they present a compelling call to honor our individual and collective moral responsibilities to the planet. Libby’s song “Winter Wheat” is included in this collection. 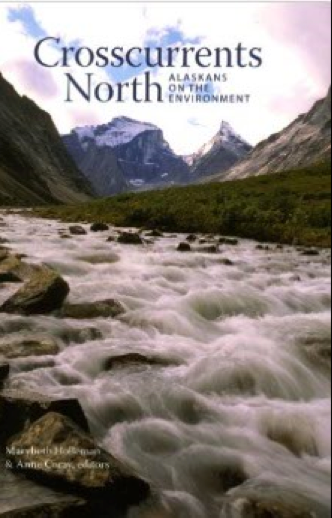 Arctic Refuge arose from a political moment related to the need to protect Arctic National Wildlife Refuge, yet contains eloquent wisdom and timely information central to a sustainable vision for our world. 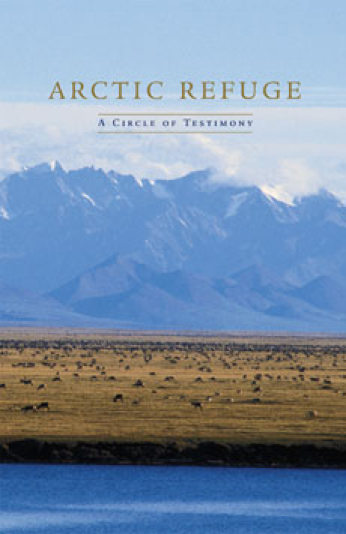 The book began as an idea in January 2001, when two Alaska residents responded to proposals to drill in the Arctic National Wildlife Refuge by sending a call to writers across the country. Just seven weeks later, the book was presented to Congress. Libby’s poem “Another Country” is included in this collection. The essays and poems collected in Crosscurrents North offer thoughtful meditations on the Alaska environment and the relationship between humans and nature. These 61 pieces celebrate the wildness and wonder of nature as well as the human impact on it.